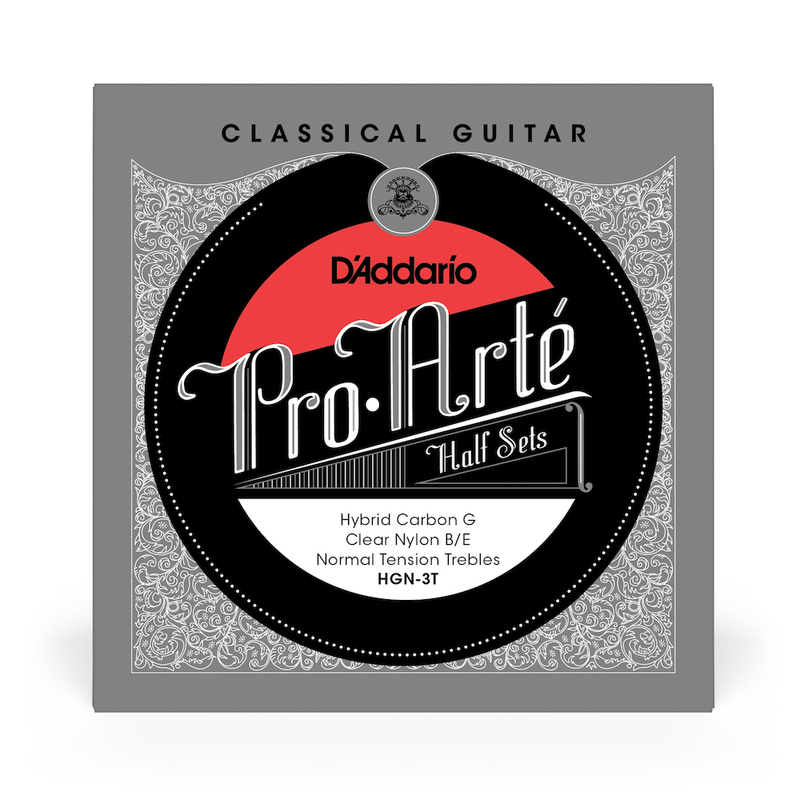 D'Addario Hybrid Normal Tension Treble Set with a fluorocarbon 3rd G.
HGN trebles contain only a fluorocarbon 3rd G with monofilament clear nylon B and E. Some players feel a standard nylon G sounds "tubby", swapping out nylon for carbon generates a brighter and more focused sound. This string combo is a great idea...and works very well. For my guitar, I will go for carbon G and B, with nylon on the high E.